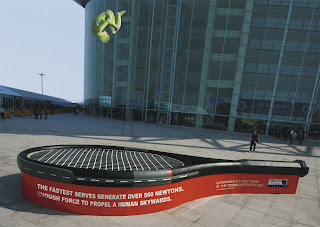 "The fastest server generate over 560 Newtons. Enough force to propel a human skywards. Experience the best tennis at the tennis masters cup 2006".